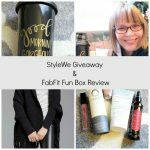 This post contains a FabFitFun referral link. 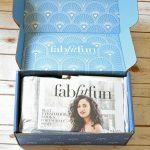 If you subscribe to FabFitFun, I get a discount on my next FabFitFun box. Thanks! 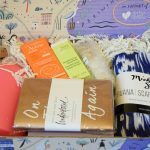 FabFitFun is a beauty, wellness, fashion, and fitness subscription box. I’ve received three FabFitFun boxes to date. I love them! 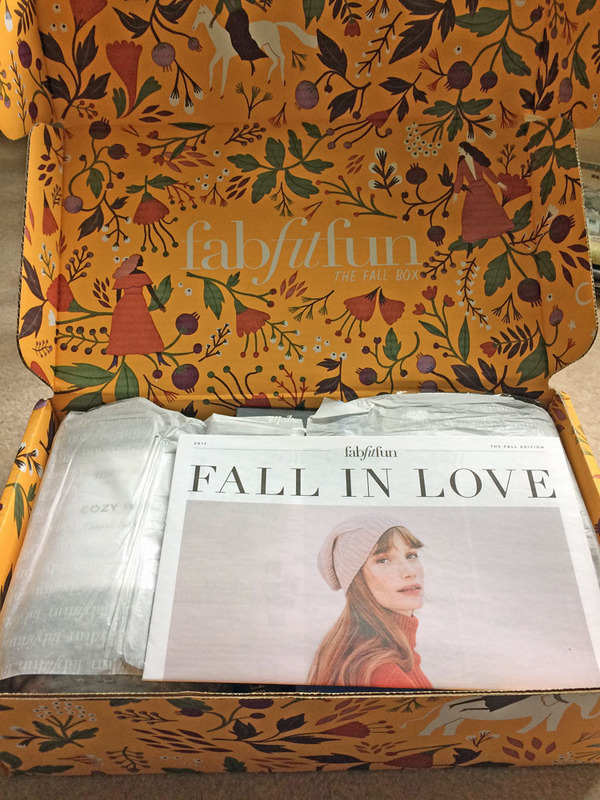 I got my Fall 2017 FabFitFun box not long ago. It’s my favorite FabFitFun box so far. 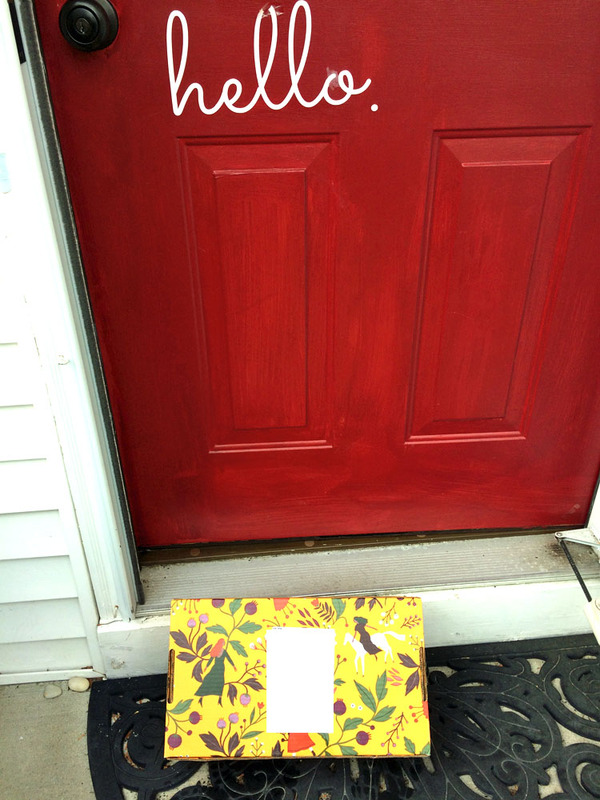 Seeing a FabFitFun box waiting on the doorstep is always fun! I opened my FabFitFun box as soon as I got it inside. My teen daughters sat with me as I opened the box. They have fun seeing what’s inside my FabFitFun delivery, too. The below photo shows what the box looked like when I opened it. 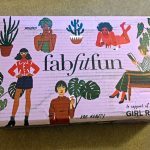 The design of each FabFitFun box is different. Isn’t this one pretty? I’ve been saving my FabFitFun boxes. I’m planning to use them to organize and store items in my home’s master bedroom closet. 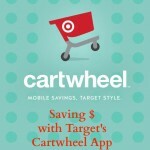 I recently upped my subscription to an annual subscription of 4 boxes at $179.99. For the annual subscription price, I get to choose some of the items in my 4 seasonal boxes, so the boxes are more customized to my tastes. 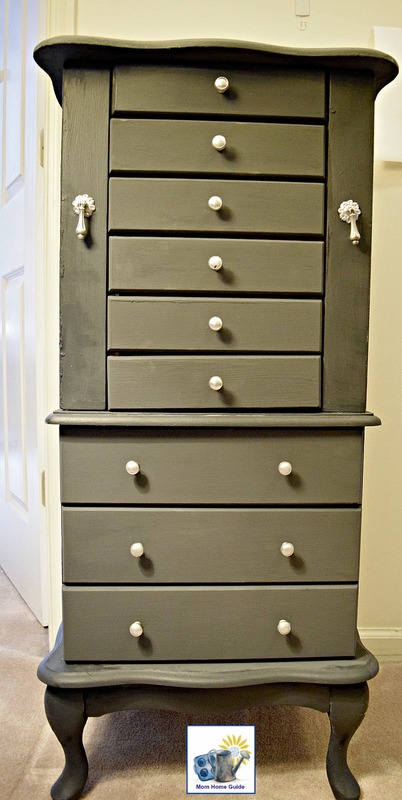 About a year ago, I used chalk paint to update a standing oak jewelry chest that belonged to my grandmother. I keep the chest in my home’s upstairs hallway. I’ve been looking for a jewelry organizer to place on top of the jewelry armoire. 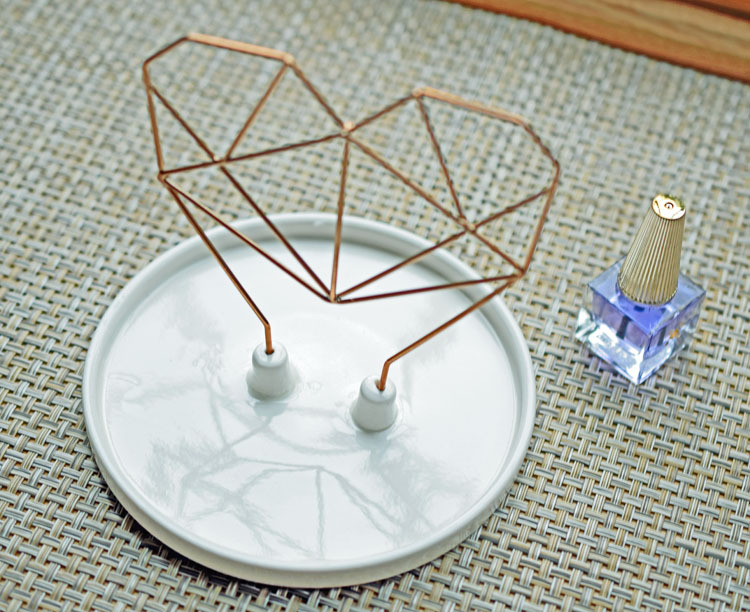 I was happy to receive the Coxet Wire Heart Ceramic Jewelry Holder from IMM Living ($33). The rose gold jewelry holder is the perfect place to put rings, earrings and bracelets. The holder can be used as a desktop organizer in a home office. I love the rose gold against the ceramic, and the geometric heart. Also in the box was a bottle of Lavender Cuticle Oil by Deco Miami ($12.50). This oil has a nourishing blend of vitamins, organic argan oil and bamboo extract. I’m allergic to argan oil, so this pretty bottle of cuticle oil went into a box of items I keep under my bed for gift giving. 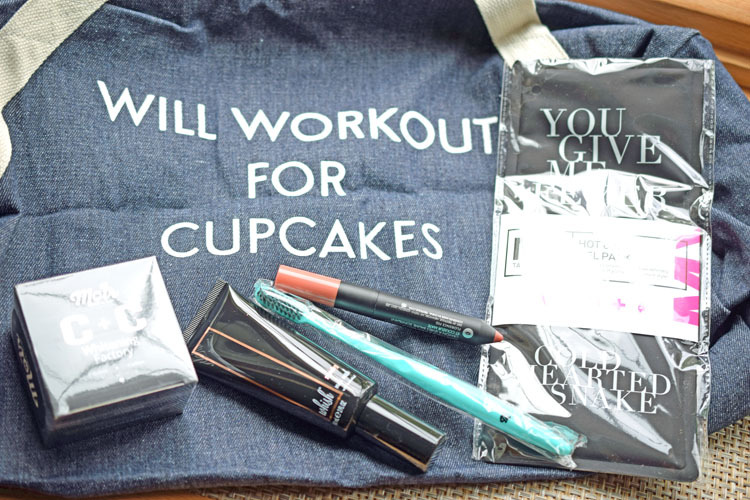 I adore the denim wash “Will Workout for Cupcakes” gym bag by Private Party ($59). The bag has an outside zipper compartment and an inner open pocket. 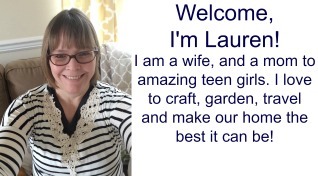 I don’thave a gym membership — I hope to join one with a pool after my radiation treatment for early stage breast cancer. (I can’t swim until then.) This duffel bag will be good to bring on mini weekend trips. The Hot & Cold Gel Pack by MyTagAlongs ($15) is a useful item for me. I often get leg aches and pains. (Especially after my 1-2 mile walks.) This pack can be kept cold in the freezer or heated in the microwave. I already have several cold packs. I put my new gel pack in a kitchen drawer to use as a warm pack. I put the Matte Color & Shiny Balm Lip Crayon in Florence Fig and Rose Balm by Trèstique ($28) in my purse. It’s a handy two-in-one-product with a matte lip color on one end and BB lip balm for shine and moisture on the other. One of teen daughters likes the Renewing Mud Mask by Whish Beauty ($48). I gave this item to her. The product has bentonite clay, aloe and rosehip oil for smoother and softer skin. The FreshCare Flushable Cleansing Cloths by Cottonelle also went into my purse. I haven’t tried the Organic Carbon and Coconut Teeth Whitening Powder and Toothbrush by Molr Dental Club ($43.95). I need to whiten my teeth, so I am looking forward to using this. The warm and soft Scarf by Mer-Sea & Co. ($98) was a welcome addition. The scarf is big enough to wear as a wrap. I’m sensitive to products like wool, so I’m glad this scarf is polyester. 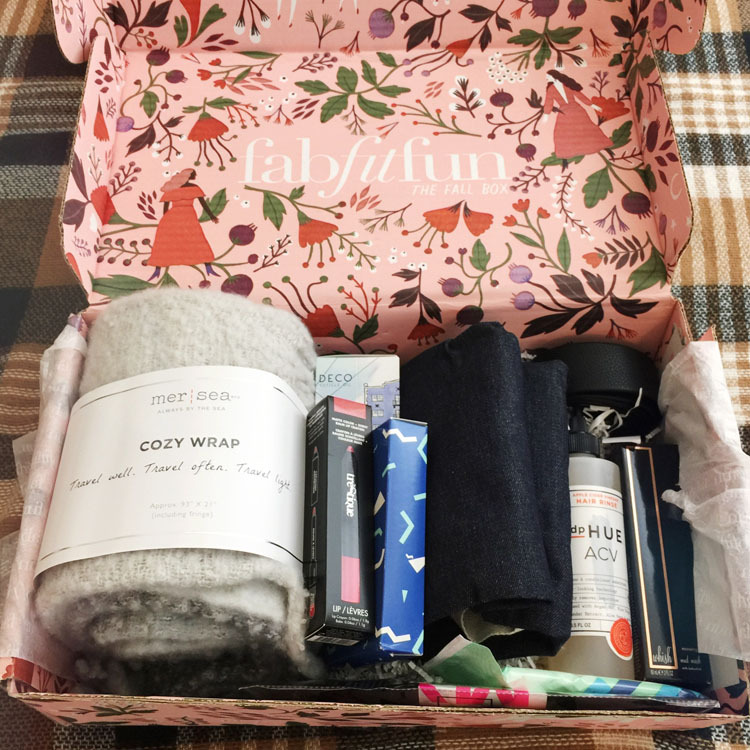 FabFitFun also suggests spreading the scarf at the foot of a bed. 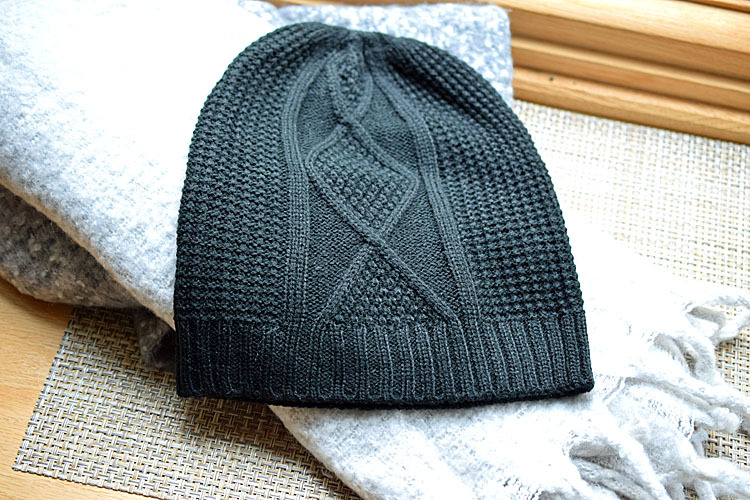 The black Cable Knit Beanie by The Jetset Diaries ($49) is of good quality. I prefer the black cap –other FabFitFun members received the Dusty Rose beanie. 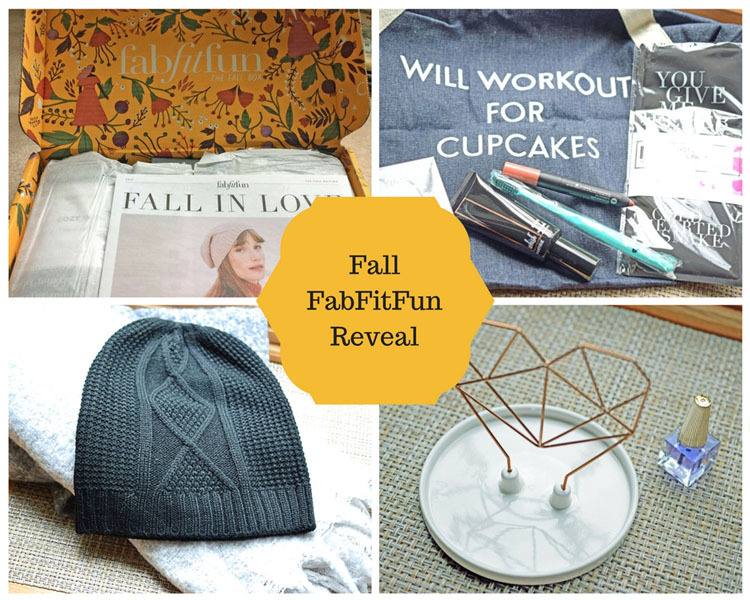 I’m wondering if I can wear the cap as stylishly as the woman on the cover of the FabFitFun newsletter! 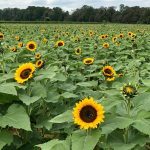 Carrie of Curly Crafty Mom Is sharing her Fall FabFitFun box reveal today too, so stop by her blog to see what she thought of the goodies she received! I got the belt instead of the hat, but I think the belt will be cute with the scarf, too! I haven’t tried spreading the scarf out on my bed yet, but mine would def. go with my white/yellow comforter. It is amazing how many products have argon oil in them, you probably really need to read labels with your allergy! I have been recycling my FabFitFun boxes, but that is a cute idea to use them as organizers in a closet!